From the rim-rocking opening to the point after where what was a raucous student section was singing the fight song, Evergreen made big play after big play when they needed them in a thrilling 64-59 overtime win over Division I Anthony Wayne Tuesday in boys basketball. The Vikes raised their record to 10-1 while Anthony Wayne fell to 9-4. Evergreen coach Jerry Keifer kept the victory in perspective afterward. “It’s a great win,” the veteran coach explained. “However it doesn’t get us any closer to a league title. It does help us with our sectional draw where you have Cardinal Stritch who is state-ranked and Genoa who is undefeated. A win like this will help us when the seeding comes out. “One of our team goals was to defend our own court and this puts us halfway there and it was really exciting to see the kids play against a really good team and make those plays that they didn’t make the last two years when they were freshmen and sophomores. Now they are making the plays. They are physically strong enough to make the plays. We have seen them mature so much in the last three years to beat a Division I school that is a quality team. While Anthony Wayne came in looking for every call with an aura of sense of entitlement, Mason Loeffler got the large and electric Viking crowd into the game just 47 seconds in when he went baseline for a vicious two-hand slam. Triples from Nic Borojevich and Loeffler jumped Evergreen to an 8-2 lead and after Max Denman scored seven General points to close the gap to 12-11, Borojevich fed Loeffler with a no-look dish for a second flush of the opening quarter. Nate Brighton’s three-ball gave Evergreen a 17-11 advantage after the opening stanza. Brighton’s two buckets off the offensive glass countered a General run that eventually knotted the game at 22-22 with 3:25 left in the half on a Zac Szul jumper. However, Chandler Lumbrezer came right back with a hoop that gave Evergreen the lead back and allowed the Vikes to go into halftime up 26-24. Denman’s three-point play boosted the Generals up beginning the third, and juiced a 7-0 burst to give AW a 31-26 lead. Lumbrezer’s bucket and another three-ball from Borojevich got the Vikes back to even, 33-33, at the four minute mark but AW again went on a run, this time 9-0 keyed by Denman’s triple and a bucket from Bryce Boyer to give the Generals a 42-33 lead. That was when Bryce Hudik hit a big shot to keep the Vikings close and was the first of a number of big plays for the 6’3” senior. Hudik’s long triple got Evergreen within 42-36 at the quarter break, then he knocked down a foul line jumper to open the fourth, chopping the once nine point lead to 42-38. With AW holding a 50-47 lead with less than 1:30 left, Szul took an ill-advised fall away jumper that Lumbrezer turned into a game-tying three-point play at the other end with 1:22 left. Max Bradfield’s bucket with less than eight seconds left put AW back up but Hudik went coast-to-coast with a quick stop-and-go dribble to score at the buzzer to put the crowd on its feet and the game into overtime. Denman’s triple put AW up 59-56 with 1:37 left but Evergreen sliced the lead to one when Brighton found Lumbrezer cutting to the rim at the 1:10 mark. Again pushing the issue with the lead, Bradfield walked giving Evergreen a chance for the lead which Brighton took advantage of when he found Hudik all alone under the rim for the go-ahead score with 32 seconds left. Loeffler tipped the Generals next attempt and after Borojevich speared the rebound and was fouled, the freshman guard canned both ends of the one-and-one with 18.5 to go. Szul, then trying to draw contact on a shot, in essence threw the ball away and when Hudik drained both free throws with 6.4 left, Evergreen had clinched its 10th win. Denman did finish with top scoring honors with 19 but the Vikes countered that output with plenty of balance as Hudik and Loeffler each had 15, Borojevich 13 and Brighton 12. The Evergreen center also had seven rebounds and blocked seven of the Vikings’ 13 swat aways on the night. 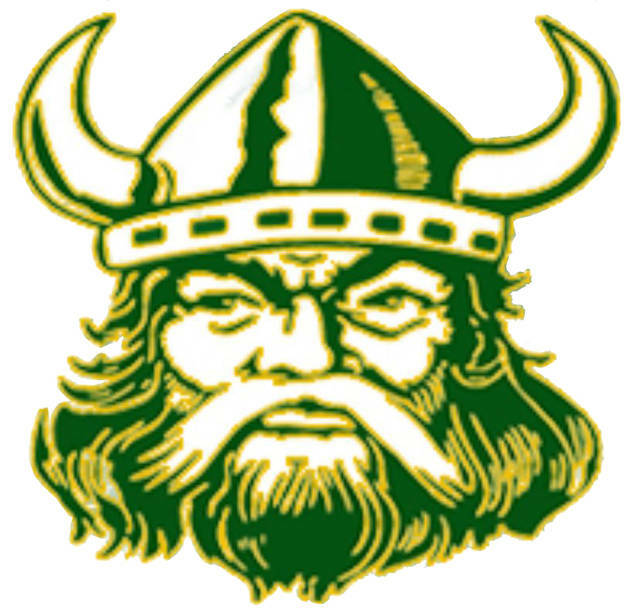 The Vikings outrebounded the bigger Generals, 26-25. Evergreen travels to Swanton (5-6) Friday night for an NWOAL contest against the Bulldogs.